At the center of Quezon City’s vibrant and dynamic community is one of Ayala Land’s prestigious and ideal working environment, Vertis North Corporate Center. The Grade A office building towers right in the heart of the city offering a working environment for the citizens of the Northern side of Metro Manila. Vertis North makes Quezon City more conducive for enterprise with the Vertis North Corporate Center. The three-tower high-rise office buildings offer generous workspaces for both small- and large-scale operations. 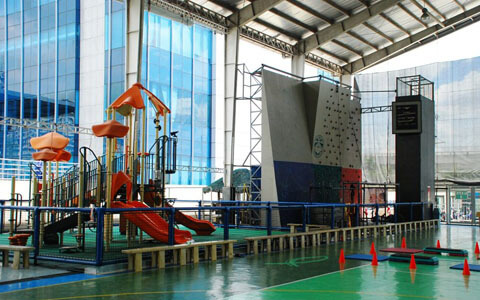 The buildings are carefully designed and constructed to provide an exclusive environment for various industries and enterprises in Quezon City. Its surrounding areas create a mixed-used community for residential areas, hotels, and entertainment hubs lined with shops and restaurants. Find modern day conveniences and more when you step out of the office. Vertis North Corporate Center 1, 2 and 3 offers prestigious, ideal, yet distinct work environment north of Manila. Vertis North Corporate Center 1 has 19 floors and parking spaces at the basement. Meanwhile, Vertis North Corporate Center 2 and 3 are 20-storey office buildings serving as a one-stop business center. All three towers offer support facilities including tax incentives and skills enhancement programs that complement the innovative ventures and operations on each floor. The towers are also a PEZA-accredited facility giving local and foreign enterprises and investors smooth and hassle-free opportunities to do business in the Philippines. The corporate towers stand in the center of Vertis North, a sustainable development that redefines the meaning of business, leisure, and lifestyle in Quezon City. The office buildings also feature connections from telco lines, backup power, and LEED certification. The certification is proof of the eco-friendly technology in the infrastructure and individual office spaces. With over 100,000 square meters of office space, Vertis North Corporate Center enables all types of entrepreneurs—from small enterprises to multinational companies—to expand their operations in a competitive landscape without sacrificing convenience and inspiration from a sophisticated working environment. The office spaces also provide a scenic view of Quezon City uplifting the mood and spirit of those who wish to soar higher than their goals and dreams. Vertis North Corporate Center 1, 2, and 3 stands on top of a luxurious shopping destination of the mixed-use community, Ayala Malls Vertis North. The entertainment hubs, dining selections, retail shops, and lifestyle brands contribute to the exciting work environment that makes Vertis North stand out. Watch the latest flick after a work shift or bring home some fresh produce from the supermarket without thinking of the time. The proximity of the corporate towers to residential spaces makes it possible to achieve a balance between work and home life. Other than Ayala Vertis North, the three-tower office space is near TriNoma, one of Ayala Malls popular shopping destination. The mall houses local and international retail brands for clothing to home essentials and other household necessities. The shops are a mix of common brands to high-end luxury names. It also has fast food chains, casual dining spots, and coffee shops. 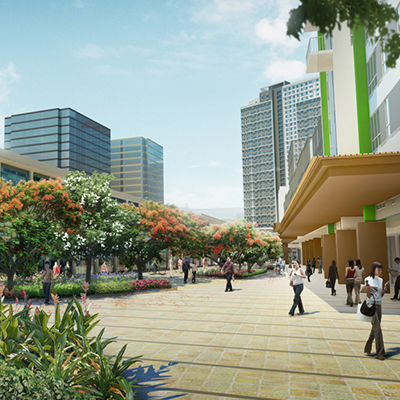 Shoppers can also relax and enjoy at the TriNoma Park, an al fresco setting at the top of the building. Vertis North’s office spaces is also a few steps from Seda Vertis North, a 438-room hotel that brings grandeur in the city. The hotel brings Seda’s distinct brand of comfort and service. Seda Vertis North also offers the most stylish accommodations and delectable culinary creations in Quezon City. Most of all, it has a grand banquet and facilities for meetings and other events to celebrate life’s unforgettable milestones. 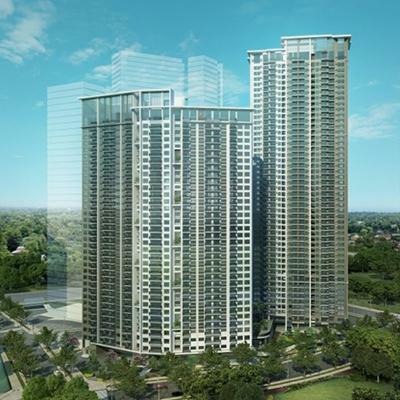 Vertis North Corporate Center 1, 2, and 3 is also highly accessible. With the availability of major transportation channels, going to and fro different parts of Metro Manila is a breeze. A number of transportation hubs for different public utilities are within the vicinity. Find them along EDSA, North Avenue, and Quezon Avenue. Bus terminals and the Metro Rail Transit System (MRT) are also conveniently located for ease of access. Ayala Land’s Vertis Corporate Center opens the doors for growth and expansion to those looking for a prime office facility in Quezon City. Part of a lively and active community, Vertis Corporate Center becomes a prominent structure offering a unique environment for work and play.